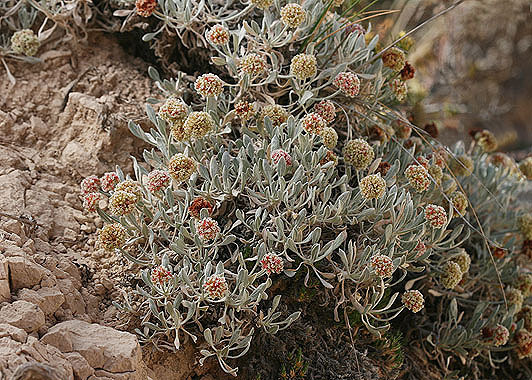 Eriogonum pauciflorum grows on sandstone buttes in northeastern Colorado. The plant forms a loose mat with dense clusters of white and pink flowers. Leaves are densely pubescent. The outside surface of the tepals is also pubescent, but sometimes this is hard to see without a strong lens or microscope. 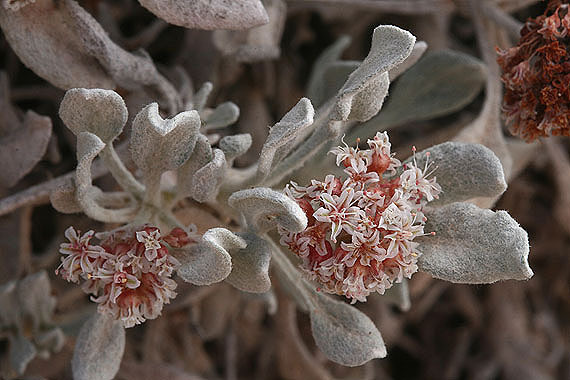 The pictured plant is Eriogonum pauciflorum var. gnaphalodes. Pawnee Buttes is a good place to look for this species.